On April 20, 2008, I met a spunky little girl named Jessie Hall. I had no idea that on this day, my life would never again be the same. I fell in love with the most darling little girl. Let me tell you a bit about Jessie and her impact on me. Jessie is a little girl with long, dark blonde hair and a sprinkling of freckles on her face. Her eyes are blue and very curious. She really looks at you when you talk to her, paying attention to each word you say. I'm not use to such focus from a child - it feels like she is peering into my soul. Jessie is the youngest of 4 children, the lone sister to 3 older brothers. I'll tell you, that for years her parents were unable to have children. After adopting a very good looking baby boy and a darling set of twins, out of nowhere came Miss Jessie. This was her first miracle. She's about to pull off another one right now. Jessica Kelley Hall is 6 years old, and a kindergarten graduate from Stuard Elementary in Aledo, Texas. 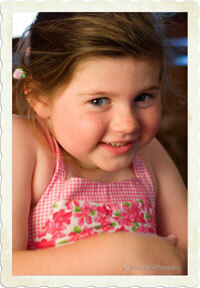 Last summer, August 2007, her family was boating when Jessie had a very significant seizure. At first the Drs. thought it was epilepsy, but in time they learned she had a very cruel disease called Rasmussen's Encephalitis. The only solution for Jessie was to have the most difficult brain surgery there is - a hemispherectomy, the removal of the entire right side of her brain. Being around Jessie, you soon realized that this disease did not define her. She kept playing t-ball on the 'Sidewinders', holding the bat with one arm and slugging away. She swam in her back yard pool, climbed trees and rode a zip line. I think my favorite thing of all was watching Jessie dance. The last time I saw her dance, she held a pom pom in her right hand and did some disco. Jessie's spirit reaches out and grabs you when you're unaware. She speaks to you respectfully, but also treats you as a fellow child- inviting you to eat gooey candy, play a game of Connect 4 and dance with her. Everyone I know who has ever met Jessie Hall, has fallen in love with her. Last week, on June 11th, Jessie had half of her brain removed by Dr. Ben Carson at Johns Hopkins Children’s Center in Baltimore, Maryland. This is the most complicated brain surgery there is, so my entire town united together in prayer for our little pink princess. I say pink because it is Jessie's favorite color, and also because our entire town is decorated in pink ribbons, bows and signs. There are those times in your life when you feel so completely helpless and you realize the only thing there is to do is pray. And so my entire town of Aledo, and many other neighboring towns and cities have been praying for Jessie - for her next miracle - a full and complete recovery from the surgery that has left her with only half her brain. Jessie's church made up some cute plastic, pink bracelets that say 'Pray for Jessie' on them. As you can imagine, they quickly ran out and we needed more. A lovely lady in our town named Holly ordered bunches and decided to also make some pink shirts and hats with the same message. We decided to sell them in honor of Jessie and the charity her parents are establishing - The Hemispherectomy Foundation. But most importantly, the message reminds us all to 'Pray for Jessie'.